The Mammary Gland as a Model System. We have focused much of our attention on the mammary gland since the breast cancers that arise from cells in this tissue are the second leading cause of cancer death among women. The mammary gland also provides an excellent experimental model in which to understand normal development, and whether the stem cells that form the mammary gland may actually become mutated to generate some forms of breast cancer. We performed first detailed molecular dissection of mammary stem cell biology during mammmary development. 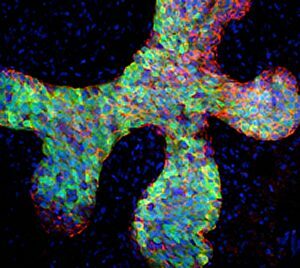 We discovered that the normal stem cells formed in early development actually share surprising similarities with certain aggressive breast cancers. 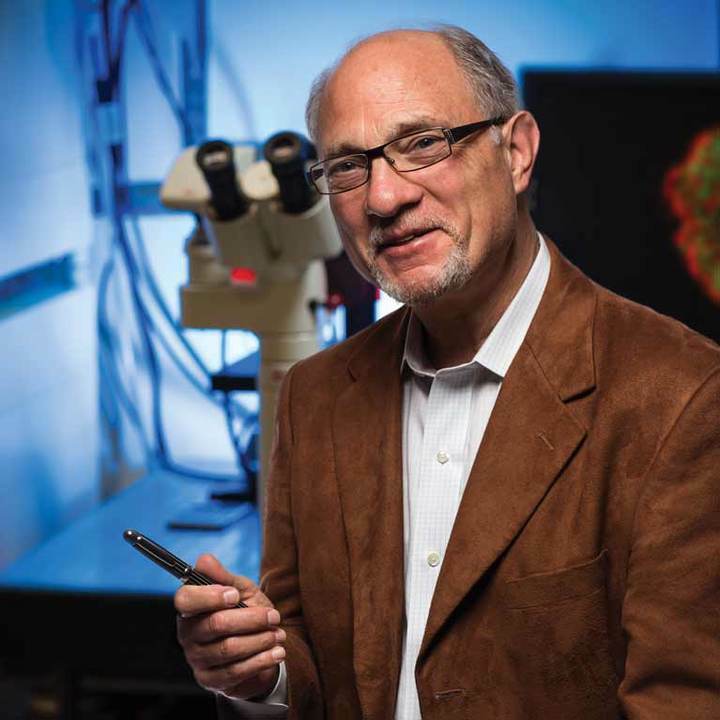 We are now leveraging this information together with classic scientific rigor and cutting edge technologies involving cell 3D cell culture models, in vivo imaging, genetic fate mapping, molecular profiling and bioinformatics to identify the pathways that link stem cells, development and breast cancer. We anticipate that the knowledge gained from our studies will help us develop better therapies to treat women with breast cancer more effectively and humanely.